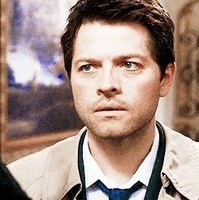 This Castiel icon contains retrato, tiro en la cabeza, primer, headshot, primer plano, en la cabeza, and closeup. Are tu there, God? It's me, Dean Winchester.